UFO are an English rock band that was formed in London in 1968. They became a transitional group between early hard rock and heavy metal and the new wave of British heavy metal. The band's current lineup includes vocalist Phil Mogg, lead guitarist Vinnie Moore, bass guitarist Rob De Luca, keyboardist and rhythm guitarist Paul Raymond, and drummer Andy Parker. They have gone through several line-up changes, leaving Mogg as the only constant member, and had two hiatuses. The band are also notable for featuring former Scorpions guitarist and MSG founder Michael Schenker, who was a member of UFO from 1973 to 1978 and again, occasionally, between 1993 and 2003, when Moore replaced him. In May 2018, Mogg announced that he will retire from UFO after one last tour as a member of the band in 2019. Formed in 1968,  UFO first gained notice as a space rock group with a series of recordings on Beacon/Decca Records. After guitarist Michael Schenker joined in 1973, they signed to Chrysalis Records, and changed their musical style from space rock to hard rock and heavy metal, but found only modest commercial success. 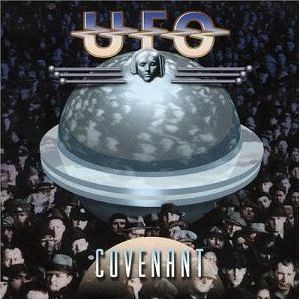 However, UFO are often cited as one of the key influences on the hard rock and heavy metal scenes of the 1980s and 1990s, including bands such as Metallica, Judas Priest, Iron Maiden, Guns N' Roses, Def Leppard, Slayer, Megadeth, Testament, Overkill, Anthrax, Alice in Chains, Tesla and Dio. Mogg wrote the majority of UFO's lyrics, with the music being written by Way, Schenker, and later, Paul Raymond, although Schenker left the band in 1978 to launch his solo band. Mogg is the only member of UFO to appear on all of the band's albums and remains their only permanent member. In 1997, during UFO's hiatus, Mogg and Way, under the moniker Mogg/Way, released a couple of albums, Edge of the World and Chocolate Box. In 2002, he was in a side project, $ign of 4, featuring Cosmosquad members Shane Gaalaas on drums and Jeff Kollman on guitar, respectively. Kollman had earlier been the guitarist and co-writer on Mogg/Way's Chocolate Box. Shane Gaalaas is a Canadian-born drummer, multi-instrumentalist and songwriter best known for his long running affiliation with Japanese pop/rock superstars B'z, whom he joined in 2002, and his extensive work with guitar virtuosos Michael Schenker, Yngwie Malmsteen, Uli Jon Roth, Vinnie Moore, and Jeff Kollman. Jeffrey "Jeff" Kollman is an American guitar player from Toledo, Ohio, best known for his work with Chad Smith's Bombastic Meatbats, Glenn Hughes, UFO offshoot Mogg/Way, progressive rock trio, Cosmosquad, and his 90's progressive metal band, Edwin Dare. 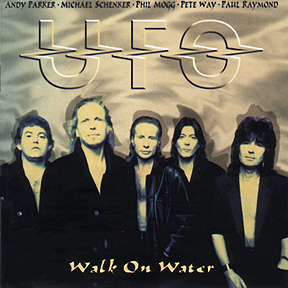 In late 2003, having regained the rights to the UFO name from Schenker, Mogg spoke with Pete Way and Paul Raymond, and ended up having a reunion tour which later brought the band back for good, with newly hired American guitarist Vinnie Moore. UFO have since released six more albums, the latest being the 2017 covers album The Salentino Cuts . Paul Martin Raymond is an English keyboardist/guitarist. Vincent "Vinnie" Moore is an American guitarist and a member of the British hard rock band UFO. Moore is one of the most influential and important guitarists to emerge from the virtuoso boom in the mid to late eighties. UFO 2: Flying is the second album by UFO released in 1971 on the Beacon label; it was issued on CD in 1999 on Repertoire Records. Live is a live album by the band UFO. It was the group's first live recording and was initially released exclusively in Japan in 1971 entitled U.F.O Landed Japan. The album was later released abroad in 1972 onward with different titles, such as UFO Live in Japan and UFO Lands in Tokyo. Wikimedia Commons has media related to Phil Mogg . Mechanix is the tenth studio album by the British hard rock band UFO; it was released in 1982. The contemporary music-press adverts on the album's release carried the tag-line 'Mechanix: it will tighten your nuts'. Immediately after the completion of the tour in support of the album, founding member and bassist Pete Way left the band to join former Motörhead guitarist "Fast" Eddie Clarke in Fastway. The Essential UFO is a greatest hits album by UFO, released in 1992. This compilation covers the classic Michael Schenker era from 1974–79, with tracks from Phenomenon, Force It, No Heavy Petting, Lights Out, Obsession, and the live Strangers in the Night. The tracks are arranged almost completely chronologically, except the Obsession ('78) tracks are programmed before the Lights Out ('77) tracks. Every track of Strangers In The Night is included on this compilation, either in studio or live form. Regenerator – Live 1982 is a live album by the British hard Rock band UFO, recorded live at the Hammersmith Odeon in London on 28 January 1982. 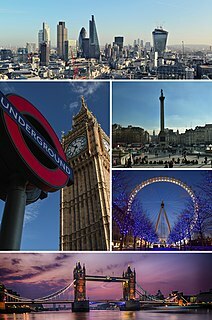 It is the official issue of the bootleg UFO Landed London of the early 1990s, with the addition of the song "Mystery Train". ↑ "UFO's PHIL MOGG To Step Down After 50th-Anniversary Tour: 'This Is The Right Time For Me To Quit'". Blabbermouth.net. May 28, 2018. Retrieved June 24, 2018. ↑ "Artist Chart History - UFO". Billboard charts . Retrieved June 24, 2018. ↑ "UFO Discography". Official Charts Company . Retrieved June 24, 2018. ↑ "Phil Mogg What's Your Sign?". BraveWords.com. July 31, 2002. Retrieved April 10, 2019.